This past weekend was another work weekend, and in addition, I had a nasty cold. 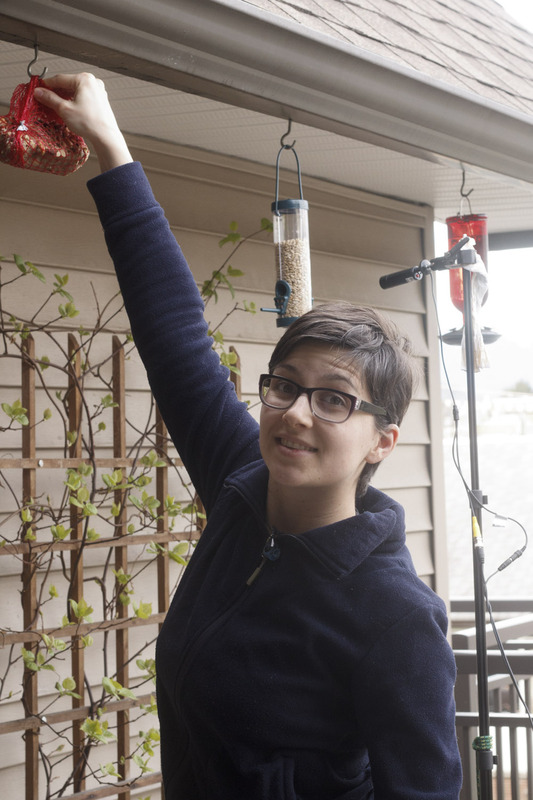 This precluded me from getting out for photography, but Catherine and I did expand our balcony bird buffet! 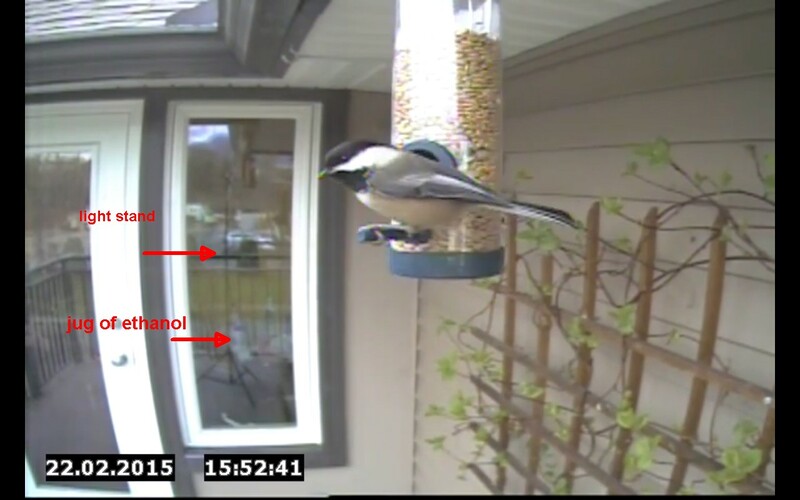 Second, a different position on the hummingbird feeder results in much better light! This female seems pretty pleased. And a male to show off his nice gorget. Here is a homemade suet ball that Catherine made, with all kinds of nuts and grains. The chickadees seemed pretty happy with it. I also bought a bird feeder at the dollar store, which is not a bad little unit! Very low volume, but seems sturdy enough! You can see in the photo above, and also in the reflection on the window the video setup. I am just using a light stand to hold the camera, weighed down by a jug of ethanol in a bag. This entry was posted on February 24, 2015, in Uncategorized. Bookmark the permalink.